Templars are a class in The Elder Scrolls Online (ESO) that is great for dealing with damage shots with maximum DPS. But how does the DD Templar play and what do you have to look out for in your builds in 2017? Find out here in our Guide for the Templar DD Skill. 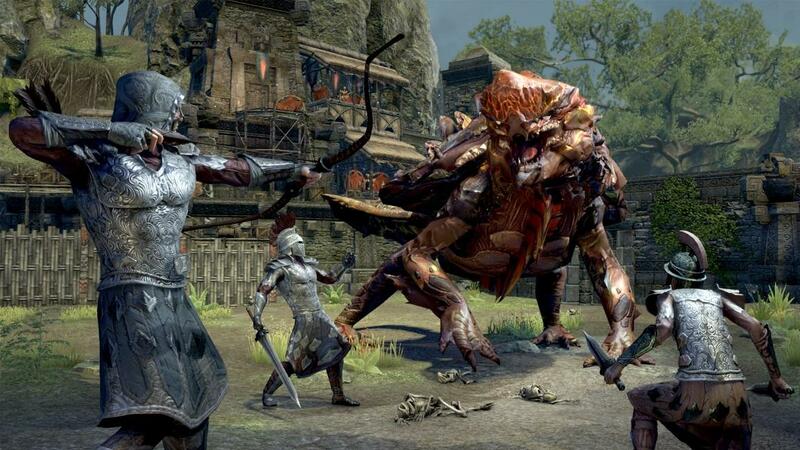 The Templar in The Elder Scrolls Online was once famous for its healing power. Meanwhile, with the guardian, there is another strong healer class and many a Templar player would like to rearrange. But is the brave Templar good as a good spreader of damage? Find out here in our Guide to the Templar who presents him as a Max DPS damage dispenser. This version of the Templar as a DD class is particularly well suited for fighting in dungeons and raids. But he also works in solo play, as he can still heal himself well. This guide is on the Update 16 booth (Clockwork City, 2017). Race: Altmer - The High Elves get a bonus on Magicka and deal more damage with Flames, Frost, and Lightning Magic. You can always do it well as a Magicka-based damage dispenser! Dark Elves or Bretons can be chosen as alternatives, if the noble High Elves do not appeal to you. Armor: You use five light armor pieces for the Magicka bonus. There is also a middle and a heavy armor part. Weapons: You use a Destruction Staff for both slots, ideally a Fire and a Lightning Staff. Equipment Bonuses: You use the Divine property on your armor. This is how you maximize your Mundus Stone. The fire staff, on the other hand, has the property "fulfilled" and the lightning staff is "clean". As Glyphs you use Magicka Glyphs on the armor and a Fire Glyph on the Firestaff. The lightning rod gets a matching shock glyph. You will provide your jewelry with an Arcane Glyph to increase its spell damage. Mundus Stone: The Apprentice is ideal because it increases spell damage and improves your DPS. Sets: Particularly well suited are the manufacturable set "Law of Julianos" (can be produced in Wrothgar), the monster helmet set "Valkyn Skoria" (Drop in City of Ashes II on Veteran, shoulders are at the Chest of the Intrepid at Glirion), the wand "Lunar Dancer" (Drop in the Maw of Lorkhaj) and the Lightning Staff of the Maelstrom (Drop in the Maelstrom Arena). Attributes: You completely distribute your points on Magicka. Begin your rotation in the 2nd skillset with "Elemental Blockade", followed by a light attack. Next comes Flaming Spear, again followed by a light attack. Castet then "purifying light" and changes the weapon. Activate Curse of the Vampires and renew it every 12 seconds. Also watch out that Concentrated Focus is constantly working to improve your Magicka regeneration. Then continue with "Breathtaking Momentum" and a light attack. Repeat this until you need to renew the damage-over-time effects on the first bar again.